A heart-wrenching account of one medic’s journey through the sorrow of managing the emergencies of others. This tell-all story will put you on the front line of the reality of street paramedicine. From gruesome and violent encounters to making split-second decisions which may have cost a life, experience the emotional struggle our responders have to deal with on a daily basis. Through the highs and lows of his career, ten-year Paramedic David Stone doesn’t hold back as he tells of the circumstances which haunted him and eventually drove him out of the career… and why it was all worth it in the end. Ride front seat with this thrill-packed memoir encompassing over a decade of true stories from the medic who experienced it. 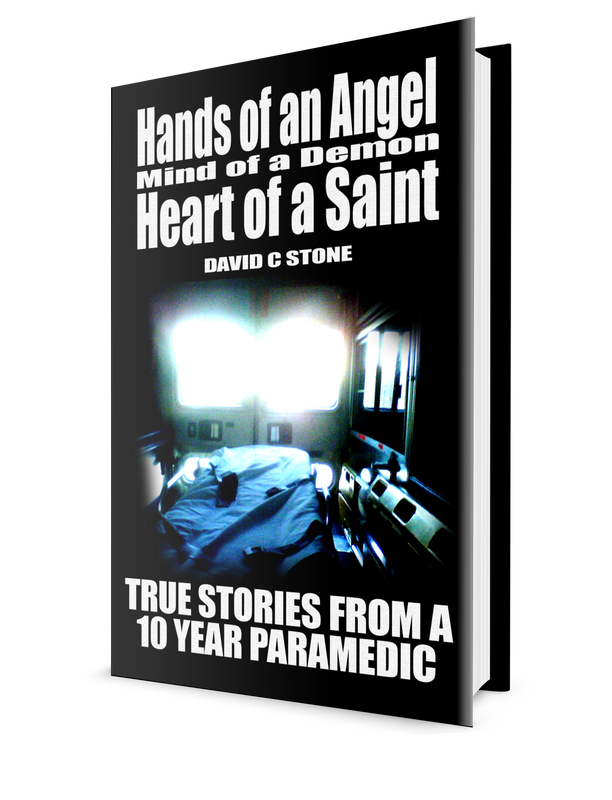 The stories presented throughout this book outline a ten year period of my journey in emergency medical services from volunteering to working as a paramedic. The events are real, although some details have been changed to protect the identity of those involved. The purpose of this book is not to glorify myself through high-intensity, adrenalin packed war stories. It is to expose the reader to the harsh reality of managing a dynamic, fast-paced emergency scene and how these encounters have a lasting impact on the responder. The stories I chose to present had the largest emotional impact in my life. They changed me from the person I used to be and shaped me into who I am today. These are the experiences that will stay with me forever. There is no intention to discredit the emergency services field. A book detailing the thousands of patients I attended where everything went right would not be a compelling read. The experiences in this book provided the framework that made me a good medic.